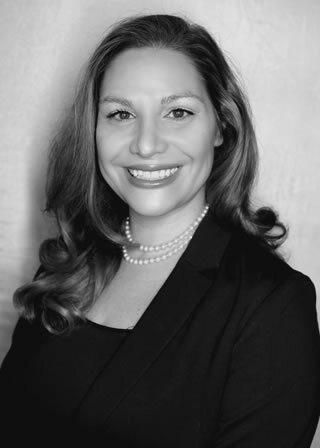 Meredith Rynkiewicz is Vice President of Fund Development at DCLRS with over 16 years of experience in the military, the intelligence community, and grant fund development. She maintains a strong desire to enhance her client’s growth with her guidance towards Federal and State grants leveraging DCLRS’ extensive network of relationships. Clients funding opportunities are expanded within their respective markets through her expertise in researching and writing effective grant proposals. Prior to DCLRS, Meredith worked independently as a Consultant enhancing strategic relationships and developing capital campaigns. She previously worked as a Senior Consultant for Booz Allen Hamilton at the Department of Homeland Security and for SAIC at the Department of Energy. She is a US Army combat Veteran who served as an Intelligence Analyst on active duty and as a Reservist for 6+ years. She deployed to Kuwait in 2002 and entered her combat tour during the initial invasion of Baghdad, Iraq in 2003. There she worked closely with special operations and coalition forces furthering stability and redevelopment missions. As a member of a Civil Affairs Command, she assisted non-government organizations and international organizations with humanitarian efforts through 2004. Meredith earned her Executive Certificate in Nonprofit Fund Development from the University of Notre Dame, Mendoza College of Business. She graduated from the Pennsylvania State University with her Bachelor of Arts in American studies. In addition, Meredith serves as Vice President of the Board to the nonprofit Young Scientists of South Carolina and is an active member of The Association of Junior Leagues. A native of Washington, D.C., and Maryland, Meredith lives in northeast Pennsylvania with her husband and three daughters.